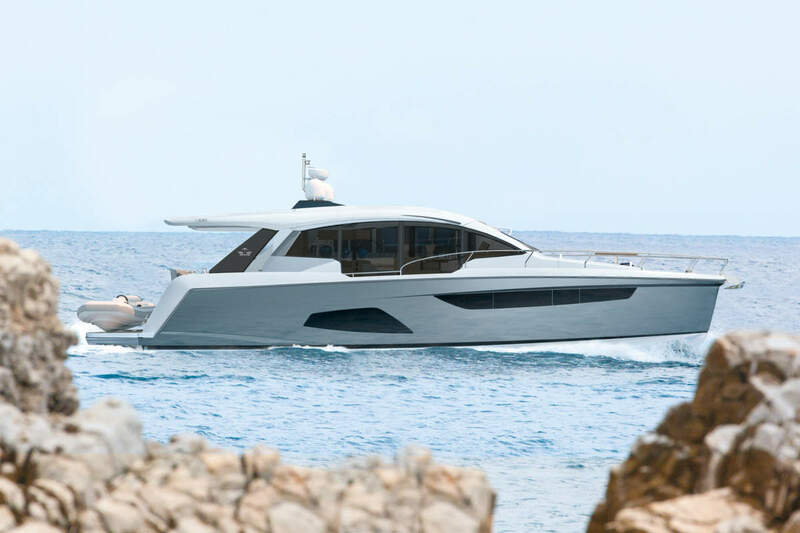 Azimut Yachts introduced the new Azimut Grande 95RPH: a new hull, new design, and innovative solutions for a vessel with many surprises in store. 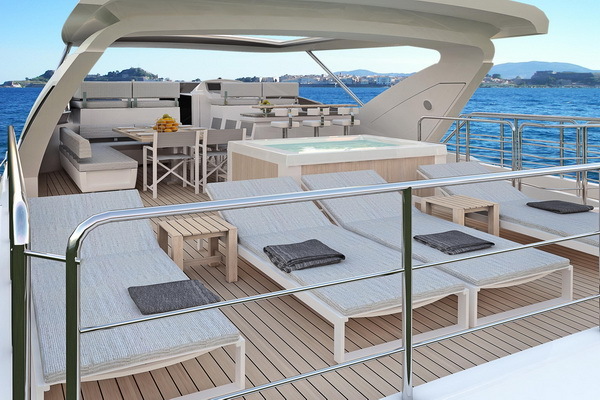 The 95RPH is part of the Grande collection, the line of 95’-120′ luxury yachts from the Italian shipyard. 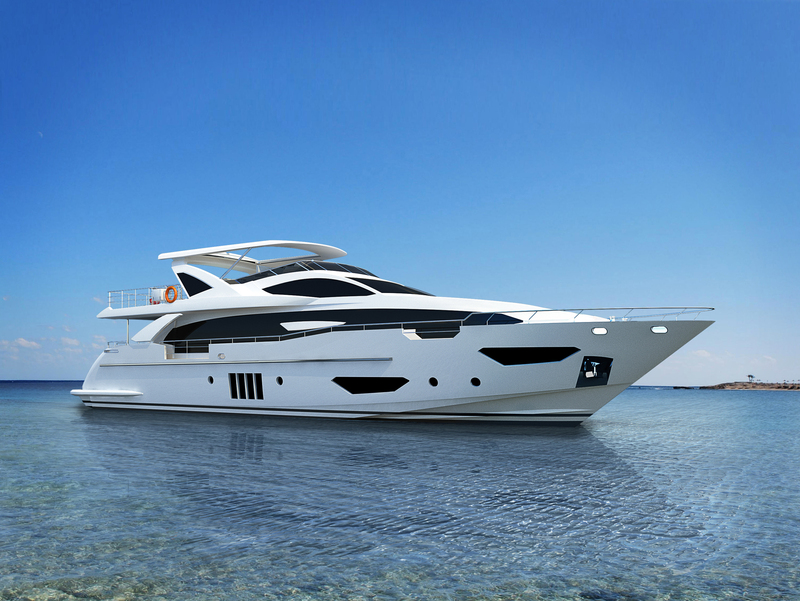 The first brand new Azimut Grande 95RPH will arrive in the spring of 2014; however, thanks to renderings, it is possible to preview some of the boatyard’s interesting solutions that improve functionality without altering the style. Foremost among the new features introduced by concept and exterior designer Stefano Righini is the raised wheelhouse. The WSB team take a closer look at the soon to be new arrival. The boat’s name – RPH – actually stands for Raised Pilot House, giving some indication of the importance of the decision to separate the wheelhouse from the main deck. This is accomplished by creating a half deck which gives the boatowner and guests more space and maximises privacy from the crew. 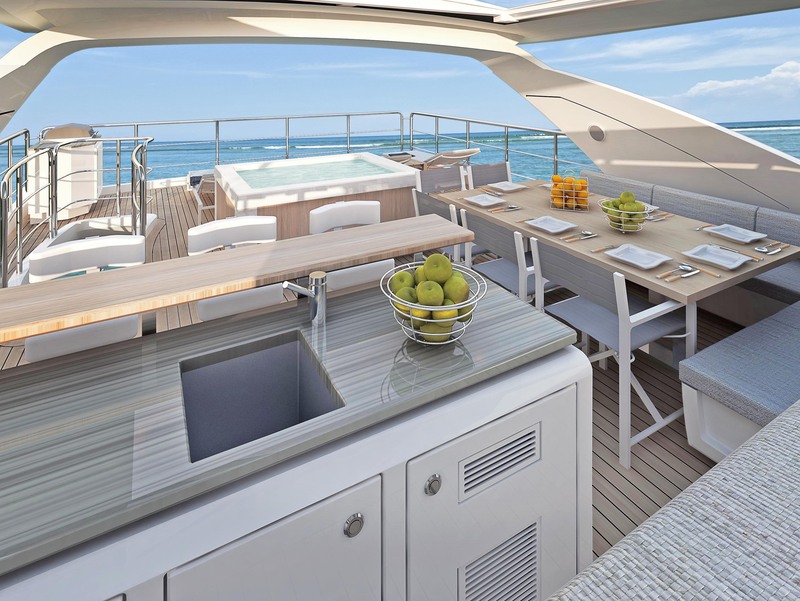 The designer has also managed to integrate the raised wheelhouse with the vessel’s hallmark exterior lines, retaining that special Azimut Grande family look. 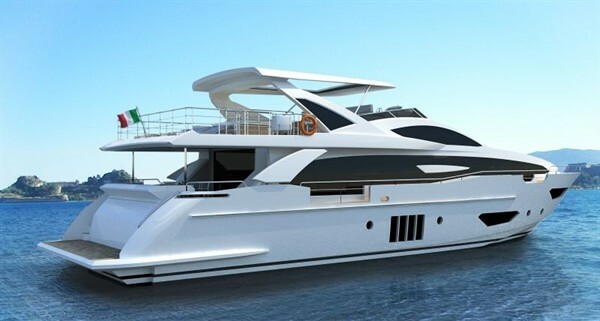 Thanks to the raised wheelhouse, the Azimut Grande 95RPH has five cabins, four guest cabins on the lower deck and the boatowner’s cabin on the main deck towards the bow. The exceptional view and large bathroom make the boatowner cabin a veritable suite with an unparalleled sea view. There is also a liberating sense of space in the 95RPH saloon; here, Righini has created a real sense of continuity between inside and outside, thanks in part to the double, floor-to-ceiling picture windows. Another Azimut Grande trump card is without doubt the exceedingly spacious flybridge (+60 m2) – awarded Best in Class; it includes a cushy exterior dinette that seats 10, a mini bar, Jacuzzi, and comfortable sunbathing area. The layout sleeps 10 with the boatowner’s suite and four VIP cabins, each with a private bath; there is also a day head. The four-member crew has three cabins and two baths to the bow, with separate access to the kitchen located on the main deck. 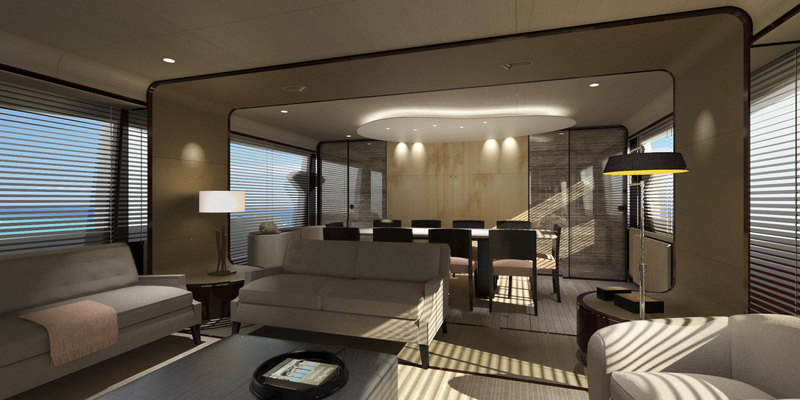 The luxurious and elegant interiors are by Studio Salvagni Architetti for Azimut Yachts, a proven collaboration that has led to such successful models as Azimut 80, Azimut 84, and Azimut 88. To the stern, there is a garage with pivoting platform for a + 4-metre tender jet; the engine room has two MTU 16V2000 M84 motors which, when combined with the planing hull with skeg, provides for significantly improved directional stability, enabling maximum speeds of 26.5 knots and cruising speeds of 20 knots. The 12,000- litre fuel tank and 2,000-litre water tank ensure great range, even for long crossings. Despite being a vessel with an overall length of nearly 29 metres, the Grande 95RPH falls within the 24-metre cut-off and therefore can be registered as a pleasure craft. In many countries around the world this is a distinction which offers the boatowner serious advantages both in terms of crew management and administration, with significant savings in time and money. This is because pleasure crafts do not require a professional captain or engineer and have reduced crew requirements. In addition, the registration procedures are definitely simplified, with the corollary benefits for charter use: regulations are in conformance with MGN280 guidelines, MCA equivalent for under 24 metres. The Grande 95RPH is the Grande collection’s first model since it was incorporated into the Azimut Yachts family, now with five collections: Atlantis, Magellano, Flybridge, S and – of course – Grande.